Henry Beaufort was the grandson of Edward III. He was one of three half-brothers to King Henry IV through his father John of Gaunt’s liaison, later legitimized, with Katherine Swynford. Despite his alleged riotous youth (we know he had an illegitimate daughter) he was learned in theology and became Chancellor of Oxford in 1397. He was created Bishop of Lincoln in 1398 and Cardinal Bishop of Winchester in 1407. He was a friend and adviser to King Henry V, his nephew, who appointed him Lord Chancellor of England. Before his death in 1422 the King had designated Bishop Henry as one of the guardians and tutors to his infant son and the Cardinal continued to play an important role in affairs of state and church. In 1431 he presided over the trial of Joan of Arc. It has to be admitted that the only verifiable association of the Bishop with Halsway is in the marriage of his daughter to Sir Edward and a bequest to her in his will and there is no documentary evidence that he ever lived at the manor. Circumstantial evidence of his presence, however, is very convincing and is offered on three grounds, namely, certain features in the present building, long-standing legend and a couple of ghost stories. 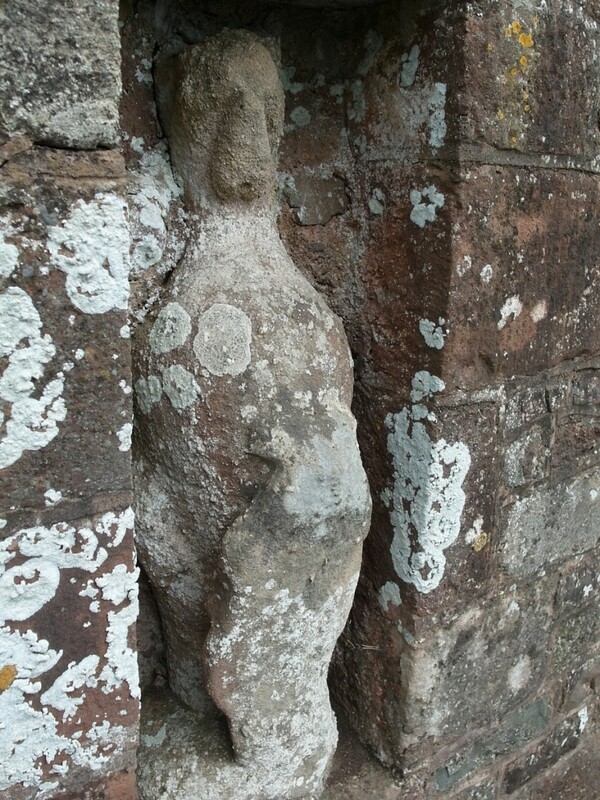 One feature is the figure now set in the boundary wall of the present manor. It is the Yale of Beaufort, one of the ten heraldic creatures in the royal ancestry known as the Queen’s Beasts. It is just possible to make out this mythical horse-like creature and the shield it holds. This figure was one of a pair that were placed on the pillars of the gateway when Sir Edward built the new manor house. One pillar was still in position in the 1860s and appears in paintings of that time, but was in a state of great dilapidation and removed in the renovations in the 1870s. The name of a folly, the Beaufort Chapel, still to be seen in the grounds of nearby Crowcombe Court offers more evidence. In 1415 a licence to hear Mass in the chapel at Halsway Manor was granted to Sir Edward’s grandmother. Whether a chapel existed in the old house is not known but with the rebuilding a chapel was built adjacent to the house. (This may also be the occasion when the family built an aisle on to the church at Stogumber, but we will hear more of the Stradling Aisle later in our story). Over the years the chapel fell into disuse and was, by the 1770s, in a ruinous state of repair. Part of the fabric was taken to build the cruciform “ruin” at Crowcombe Court. Meanwhile at Halsway the rest of the chapel was used as an apple store from which, according to a story handed down from the family of the time, the Bishop’s ghost would pelt the unwary visitor with apples. Of the chapel today there is no trace but in some paintings of the manor made in the early 1800s a barn is seen beside the building. In one sketch the barn windows have a vaguely ecclesiastical appearance. 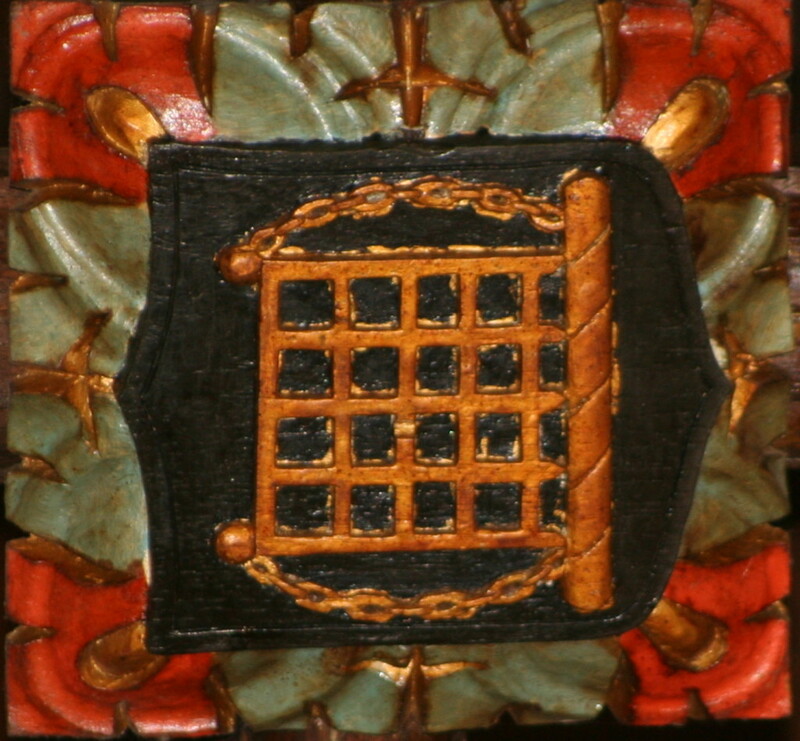 Another tangible piece of evidence can be seen in the hall where one of the ceiling bosses bears the Westminster portcullis which is part of the arms of the Beaufort family. The hall has ghostly evidence, too. At one time a gallery (known in the 1930s as the monk’s gallery) led across the hall along which the ghost of a monk was said to walk on his way to say prayers in the chapel on the Bishop’s behalf. With reference to legend, in the eighteenth century the house was known as Duke Henry’s Hunting Lodge and it is said that the bishop’s chaplain took his name, John of Stoke Gomer, from the name of the parish (now Stogumber) in which Halsway stood.